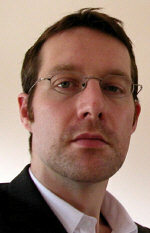 When super-tough cop Sergeant Harry Keeble announced he was joining Hackney’s ailing Child Protection Team in 2000, his colleagues asked: “What the hell are you going there for?” Known as the Cardigan Squad, its officers were seen as glorified social workers that dealt with domestics and comforted frightened children. Within a few months he’d fought machete-wielding thugs in Trinidad, faced down drunken AK-47-toting policeman in Ghana, survived the ghettos of Kingston, Jamaica and confronted the horrors of African witchcraft in London, exposing a network of ritual abuse in the process – all in his unrelenting war against child abuse. He rescued dozens of kids – kids in crack houses, kids whose carers were gradually being eaten alive by rats, kids living in unimaginable filth and kids who had burned their house down. Then there were the hostage situations, the lynch mobs, staring down pit bulls chained up to kids in a cot, tracing the ISP address and kicking the door in of a serial child abuser before he finished his live Internet broadcast. Without wading in sentimentality, Harry describes how he and his dedicated team - a colourful cast of characters determined to make a difference – led the Child Protection revolution that followed the killing of Victoria Climbie, saving countless children in the process. "The subject matter is obviously heavy and makes for distressing reading. But the pace crackles from case-to-case – with Harry’s fight to save neglected and abused kids taking him around the world." "Powerful and moving. 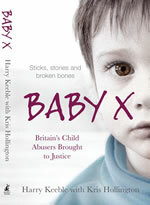 I didn’t think I could be shocked any more until I read Baby X."